We are the #1 rated firm for Orlando and Central Florida Property Management. Get started with a quote! Proudly servicing all areas of Central Florida! Welcome to Orlando Realty and Property Management and our website, www.407rentals.com. 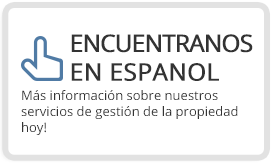 Also visit the only Central Florida area home rental website entirely dedicated to Spanish speaking Tenants and Owners at www.407alquilar.com. 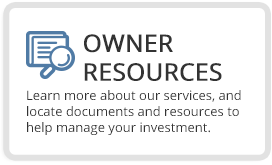 At ORPM, we are a one-stop source for real estate. 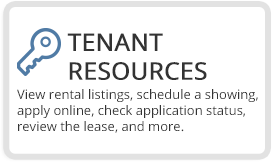 We specialize in property management, managing several hundred Central Florida properties. But we also have agents to assist you in buying or selling your home or condo. We look forward to assisting you today. I have, for several years had my property managed by ORPM. I have found the team to be professional and excellent in representing, not only the owner, but the tenant as well. Mary Barker has been my point of contact and she has handled a variety of challenges for me, always in a manner that I truly appreciate. The fees are worth every dollar, especially if you have busy schedule. They handle all my rentals, and the longest it has taken to re-rent is 8 days. This was the first time rending my home and ORPM was with me each step of the way. They met with possible tenants 24hours a day, weeded out applications, and hired a cleaning service. They have a company that does the home improvements, but we had to work through a few issues. In the end the issues were resolved and my place is now rented. The company is not pushy, and will work with you on what you need. They keep you up to date on the progress of the rental, and do everything they can to get it rented. I have been a client of ORPM for 4 years now. They have been a wonderful property management company. I am out of state so I really rely on them to be on the ball in overseeing the occupancy, upkeep and care of my condo. My community has a very strict association and this past year we had some severe water issues that needed to be addressed. Mary Barker with ORPM took swift action to get all the information, source contractors and work within the Associations guidelines to repair the damage and correct the structural issues to avoid future problems. Thankfully I've had the same tenant for the entire duration of the rental which I can definitely attribute that to the professional management that ORPM provides. I am extremely satisfied with the communication and service that ORPM provides me and I would recommend them to anyone. I have nothing but good things to say about ORPM. They have been taken great care of our properties. Jamie's positive energy is contagious and whenever we need any documentation from the accounts department, we are helped efficiently and effectively. I really appreciate everything ORPM has done. No matter what experience I have had in my property I have always gotten a timely and efficient response from ORPM. I have had some rather irritating situations in my home (by no fault of ORPM) and I always feel better after speaking to any member of the staff. My experience has always been above par from the time I found the property online. Stephanie went above and beyond to help me move in under and extreme time crunch. There's no name for Christina other than an angel! She is always kind, efficient, and a pleasure to work with. 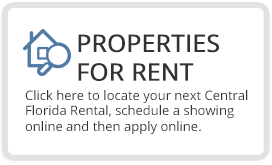 For the past 2 years we have rented with Orlando Realty, we have been nothing but completely satisfied with their team and great customer service. I would highly recommend them to anyone looking for a rental. Thank you Orlando Realty and Property Management! Great experience with this property management company I would highly recommend them. They have managed my house for the past four years. I have never had an issue that anyone speaks of. When something needs to be fixed they let me know and then they send someone over to fix it. I had a tenant leave three months early and they found someone to move in without a break in time. I don't know what renters go through but as far as having them mange your property, I would recommend it and have to two other people. I deal with Cristina and she is always helpful. I like working with people that provide good service. Orlando Realty and Property Management provides good service. Mary manages my rental property and has always communicated with me. She keeps me informed of whats going on. The condo unit above mine had a water leak. The water from this third floor unit came down onto my second floor unit, affecting my unit and the unit next to me and the unit below mine. The last thing I needed was for my tenant to move out. Mary tirelessly worked with the tenant to ensure that the carpets were steam cleaned and the water was soaked up, they had a company bring in blowers to ensure no water damage was created. The damages to the wall were evaluated immediately, fixed and repainted within 2 days. A member of Orlando Realty and Property Management's firm went out took pictures before and after. This was not a fun situation to deal, but these guys made it the best possible. It cost several hundred dollars out of my pocket initially, but things could have been much worse - hopefully the upstairs unit's owner will pay my bills. But, thanks to these guys my tenant was saved. Maybe my insurance company would have paid me my rent until a new tenant was found (I doubt it knowing insurance companies!). But fortunately, much to Mary's part, I didn't have to worry about that. I just wanted to take a moment and recognize them. If you need a good property manager, I would ask for her. I referred my former neighbor who said she was happy too - I don't always go out on a limb and refer someone, but I will with these guys, especially after the leak issue. ORPM has been a very good property management company for me. They have managed my unit for 3 years now. There were major water issues related to the patios at my condo complex and ORPM was able to handle the whole situation for me, which took many many months to rectify. They are extremely communicative and easy to work with. Hi, I wanted to let everyone know how impressed I was with both Sherry and Lisette. I just signed a lease today on a property in Metro West and I couldn't be more impressed with ORPM's staff. From the first phone call, Sherry was so responsive and helpful. She always returned my phone calls quickly and really guided me through the whole process. I felt like I had a strong advocate in my corner and I REALLY appreciated that. Lisette was also extremely helpful with all of our lease questions. Should I or my friends near realtor services in the future, I will DEFINITELY recommend this office. Thank you!! As we celebrate St. Patrick's Day and enter into springtime soon, I would like to take a moment to express our gratitude to Lisette and this management company . We are into our forth year of rental at this property, and, although we arrived here under great duress having lost our home of 19 years to hurricane distruction, we have found this home and rental experience to be a very positive experience. The professional service we have received from Lisette, and Keller Williams has made our lives here very pleasant indeed. We originally thought we were only going to be here for one year. But the peace of mind we have enjoyed and great service on many levels from you have prompted us to want to just stay here and not even think of moving at this time. They have always answered all of our concerns in a very timely manner, and we appreciate the respectful and friendly attitude you have expressed to us. We look forward to remaining with this management team for some time to come. It has been an absolute pleasure to work with Lisette. She has been one of the best real estate professional that I have worked with. She has always responded to my emails/phone calls very promptly. My overall experience of owning a rental property has been so positive with you, that I am now seriously considering to buy another property in Orlando and have it managed by her. My property was rented in less than 2 weeks at a much higher rent (almost 10% more) than I expected. The process of leasing the property and inducting the tenant was seamless for me. The tenant has now been in the property for almost 4 months and there is almost no involvement from my side. Everything is handled by ORPM. Who’s Responsible for What Repairs in an Orlando Rental Home?